The fastest way around these trails and deep snow can be the most fun! Sometimes you want a serene, quiet mountain experience. And sometimes you want an adrenaline rush. Snowmobiling offers the latter, as you can take these machines into the backcountry and really feel the power and speed they provide. Varies depending on your destination. 1 - 8 hours for a typical tour or rental. 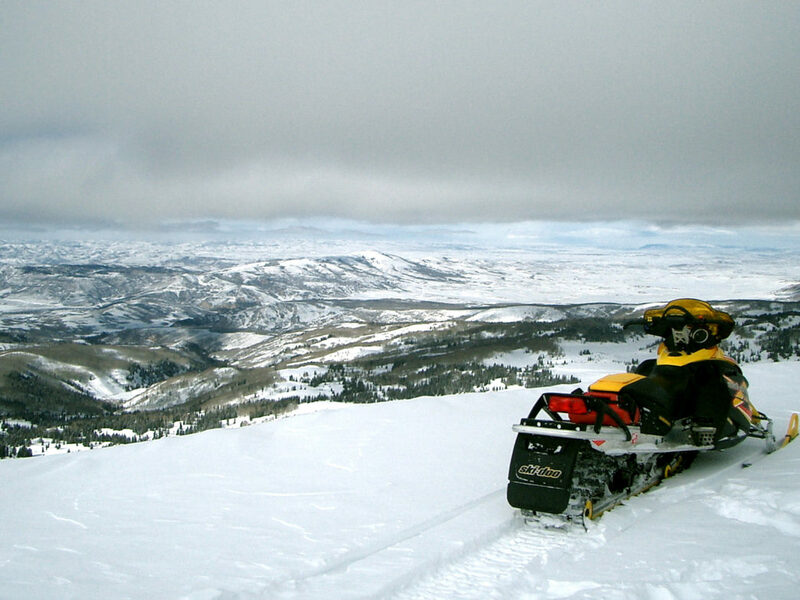 Snowmobiles offer a way to view a part of Utah that isn't readily accessible by other means. A guide service not only provides snowmobiles, but also offers a great tour of areas you wouldn't otherwise get to see. Whether you like to go fast or simply view snowmobiles as a fun way to explore, you can find an unforgettable snowmobile trip around Park City. Backcountry Snowmobiling offers custom Park City snowmobiling trips starting at the company's basecamp at 7,500 feet above sea level. The two-hour mountain adventure starts at the base lodge and travels through the aspens and pines up into the high country, offering views of Idaho and Wyoming. 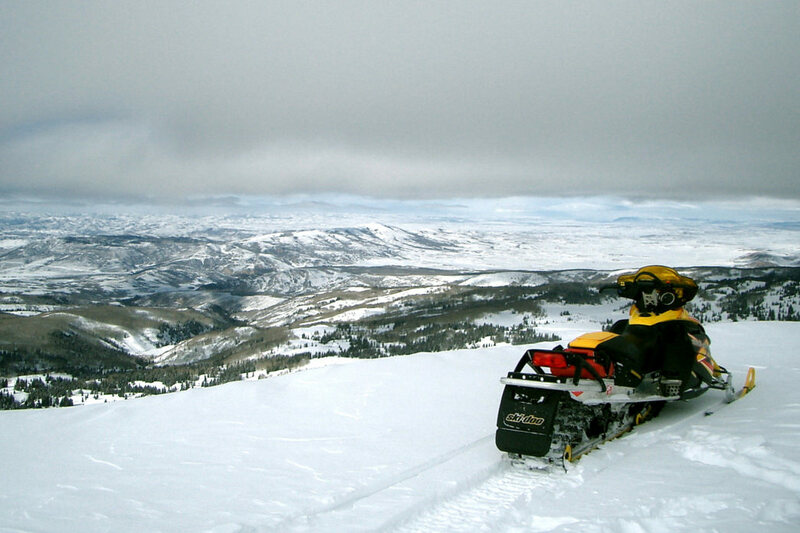 Adventures at Thousand Peaks offers snowmobile tours on Utah's highest and largest ranch. You'll get to explore more than 60,000 acres and reach as high as 11,000 feet in elevation. They offer a few tour options, including the popular two-hour excursion and a four-hour lunch trip that features climbing some of the area's highest peaks. Destination Sports offers trips to a 9,000-acre preserve in Weber Canyon, to which it has exclusive snowmobiling rights. Trips of onto four hours are available, and you'll find everything from open fields and meadows to play in as well as ridge tops with stunning views. No experience is necessary, as guides will ensure that you're familiar with the easy-to-use snowmobile before you get started. Lofty Peaks Adventures has more than 20 years of experience taking people into the backcountry via snowmobile. In addition to guided tours, you can also rent snowmobiles here for unguided tours on your own. Just bring a vehicle with a hitch and you can pull the trailered snowmobile wherever you want to go. Red Pine Adventures is located in the heart of Park City, near Canyons Village, with more than 1,000 acres of privately owned land to explore. Red Pine will pick you up at your hotel or residence and get you on the snowmobile in no time. Once ready to go, you can explore both groomed trails and deep powder among pine and aspen trees, and you'll find great views of Park City from a unique vantage point. Anyone who loves an adrenaline rush and exploring the backcountry. Participants must be 16-years-old to ride a snowmobile solo. Visit specific outfitters for more information on their locations.